Today I have an amazing review of the new mascara launch from BarryM...being a big fan of the brands nail polishes I thought that I should branch out and maybe even try some other products from them to see how they are and surprisingly I am in love this 'Showgirl' mascara and there are two different formulas the one I have which is the extra lengthening one or the other one which is the volume one. I love the metallic silver bottle with the Broadway font on the front makes me feel special! The stars on the lid adds a nice touch and I can really see the theme of 'SHOWGIRL' coming through. The bottle itself is really heavy and when I held it I was surprised at why they've made it so heavy!. Wowza! Look at this brush, and what a pain it was to have this photo to focus!! 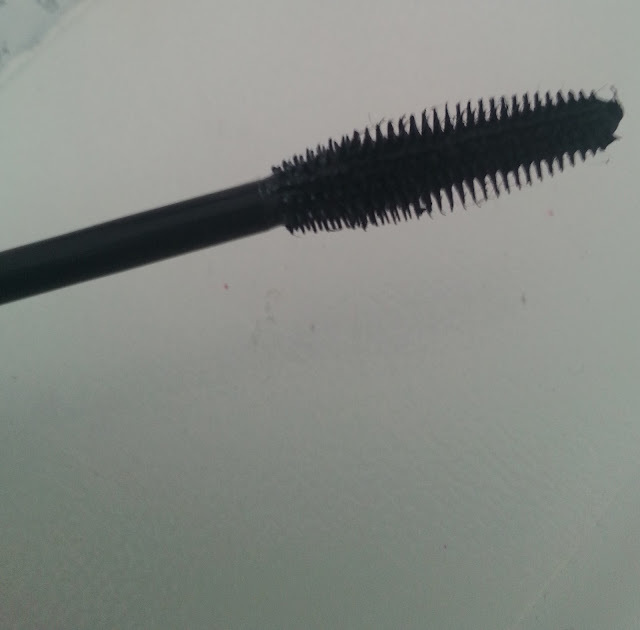 The head really coats the lashes one by one and brushes them out to separate them. The tip is also really easy to use on your bottom lashes, without it going all over you're eyelid. 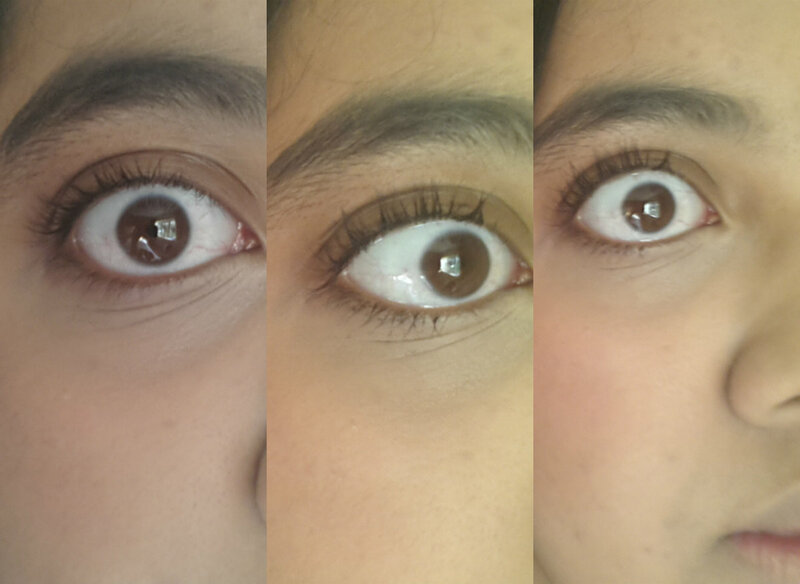 I also manages to coat my lashes twice with this mascara without it becoming dry and flaky like some mascaras do. Apologies for the scary pictures but you can see the intensity of the mascara on my lashes and how increasing the amount really does lengthen my lashes and I can see an amazing difference! 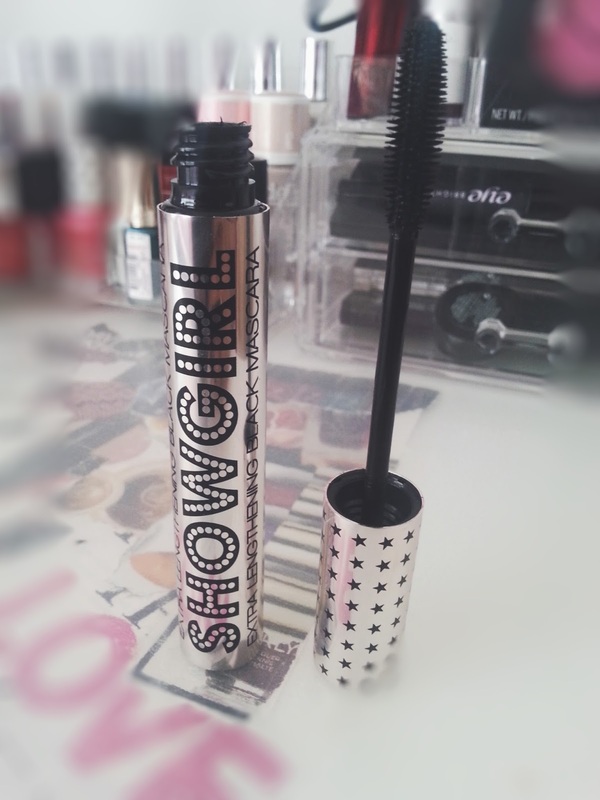 I love this mascara and have started using it everyday because I love the widening, awakening feeling it gives my eyes and would recommend it to anyone on the hunt for a cheap mascara at only £4.99 you can't go wrong! Amazing Post! Me and one of my friends have created our own fall tag and I've tagged you to do it! It isn't your typical fall tag, it has a twist and I would be so grateful if you could do it and then tag whoever you like! Heres my post and the questions are on there!